Home OPINIONS Bring Us Back!!! This story is in commiseration of the missing Chibok School Girls. That night I sat outside, staring into nothing. The familiar bells of the church hadn’t rung in years, the stars that once gave me companionship at night stopped its visits. The air was dusty and stung when it hit the white of the eye while tears fought themselves into streams on my face. I knew we were going on another journey, another journey filled with screams and barks of short orders rolled out in Hausa. My memory never failed me this last 2 years, it stayed by me taunting me with images of home, of a time when I could cradle my innocence and be proud about it, a time when the bells rang and my feet hurried home from school into Papas arms. A loud bird flew across my eye view, briefly breaking me from my thoughts. I looked around me, everyone was hastily packing, folding large tents into small bags. Ismail hadn’t called upon me yet, for that I was grateful. I wasn’t ready for his barrage this night. This would be a long journey. I walked calmly so as not to raise alarm or attract attention to a part of the bush I had cleared months back. As soon as I was out of sight, my hands worked my hijab away from my neck and I prayed. I prayed for a safe journey to the next camp, I prayed that my friends and I all survive this journey, I prayed for hope to find me and my stars to resume its nightly visit and finally I prayed for home, a place gradually becoming far, too far away. I did this often when I could sneak out with out notice. This night with everyone so busy packing…I prayed longer and prayed into despair till I didn’t know when Ismail crept quietly at my back. I mustn’t have heard his foot steps because i was lost in my prayers. His hands landed hot on my neck , I turned and I could see his eyes raging fire. He grabbed me and dragged me even as I struggled to put on my hijab. He dragged me into his tent and then his fists worked its way on my face. Hits and hits landed on me, he held my neck and tightened his grip. My face stung like a million needles, I was running out of air. He suddenly released me and pointing at me shouted with rage. He stormed off into the nights chaos. I lay there without moving till the order came for movement. I was one of the last to get in and so I got to sit at the tail end of the truck where they positioned a guard. The truck reeked of sweat, fear and the trembling of young girls innocence snatched away. I managed to pull aside the tarpaulin which covered the rear end of the truck so I could see the road as we moved and breathe. My body still ached from Ismails beating. I knew he would have my head on his blade when we arrived at camp. No one would intervene , my act of defiance by praying as a Christian and removing my hijab attracted the death sentence. Ismail had taken me in as his wife some months after I got here. He thought me the Quran and the ways of the prophet every afternoon. He told me I was lucky to have been brought to join the revolution and that my service to him one of Allah’s servants would be rewarded in heaven. Now I had ruined it all. I flashed back to his threat and my heart raced. Sleep eluded me, I kept at the road and the guard opposite me at the other side of the truck. Crack! And Gbim! Gboom! Suddenly the air lit up with screams and shouts. The panic in the truck was audible. The girls were all shaking. I looked at the guard opposite me on the other end of the truck , he was no longer there. Shouts of Allahu Akbar! Rent the air. I could hear gunshots, loud and imposing ones and those that sounded like they were vomiting bombs. The truck shook uncontrollably. I looked outside no one was there, not a guard no one. My heart raced, skipping several beats at a go. One of the girls closest to me held my hand as if In quiet agreement with my heart. My mothers voice echoed In my head. My breathe raced. I took another look and gripping the hand tighter…I pulled and jumped from the truck. I was on the ground , I looked and it was Mary my school daughter a class below me I had pulled. She looked weak and tired and smelt of dried blood. I yanked off her hijab and pulled her to me as I ran to the left of the road into the bush paths. My feet moved fast but Marys was slow as she was weak. I urged her with every word I could remember but she was weak. The screams grew louder and I could make out voices shouting find them! Find them! . I dragged Mary on with all my strength and the deeper we went into the bush the greater my hope grew! I kept muttering to Mary as we moved. 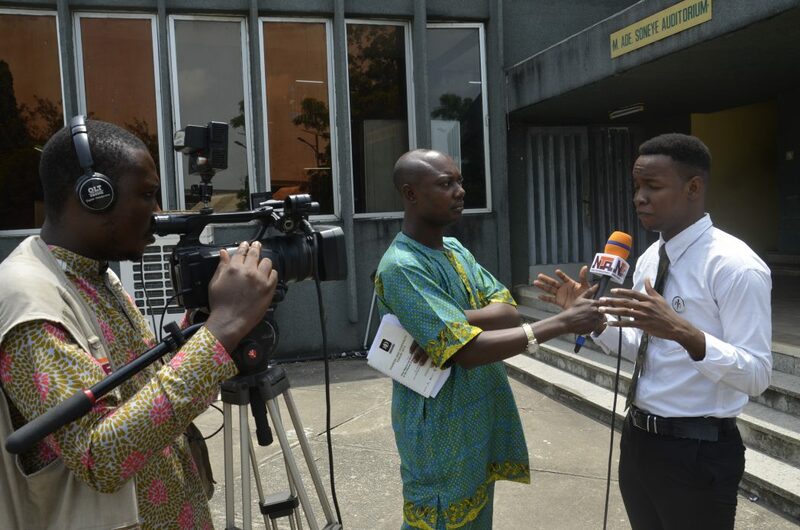 AJAGU KENNETHCOLLINS is a young vibrant law graduate of the University of Lagos. A very creative and determined individual. He is passionate about issues that affect Nigeria and indeed world peace in general. This has seen him represent Nigeria in United Nations competitions both in Newyork, Ecowas in Ghana and Nigeria. He uses creative writing to address and create awareness on some of this issues plaguing our society. On a current scholarship from the USA he represents Nigeria in the Yali Cohort 2 17week Leadership training. He hopes to contribute his on quota to the development of Africa. If you don’t catch him arguing, he will be found dancing or singing or travelling. Previous articleMotivating Yourself To Do Great Things, 17 Ways to Do it.